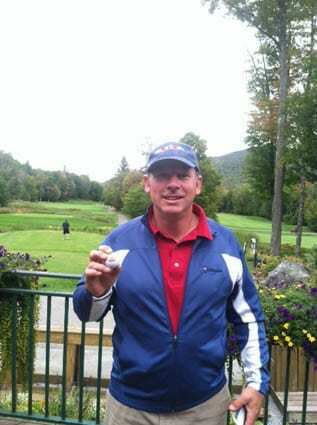 KILLINGTON — Congratulations to local golfer Ray Rice for his first hole-in-one on Monday, Sept. 21, at Green Mountain National Golf Course. Rice used his 7 iron, from 155 yards, to score a tricky pin on hole #17; the ball found its way home on one bounce. Ray’s “ace” was witnessed by his playing partners Steve Nisimblat and Chris Masillo. Visit Surefoot Ski Boot Shop to congratulate Ray Rice and hear all about his great shot!